The Los Angeles City Council on Tuesday abruptly changed course and yanked a proposed cannabis tax ballot measure that was poised to go before voters in November. The tax measure, dubbed the Cannabis Reinvestment Act, would have established a further 1% tax on all gross receipts for commercial marijuana activity, a $5 surcharge for tickets to MJ events and a $5 surcharge on cannabis tests performed by labs. But the measure was pulled by the council and replaced by an order for city staff to report back in 45 days on how L.A. could fund its Department of Cannabis Regulation and efforts to combat the illegal MJ market. 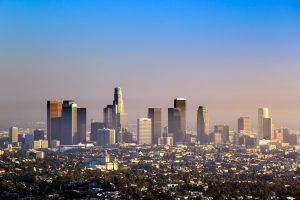 The L.A. Department of Cannabis Regulation has arguably been understaffed, according to several industry sources, and currently has just 10 employees. Its city budget for the 2017-18 fiscal year was $1.4 million, though only half of that was dedicated to staffing and operations. Its budget for the 2018-19 fiscal year was expanded to $2.3 million, with funding allocated for up to 28 staff positions total. Whether that will be enough to streamline the demanding licensing process remains to be seen. It is absolutely discussing how Los Angeles has handled the Cannabis industry. They are in the process of building a new bureaucracy and absurd regulations purposed by what it appears are uninformed persons. Tax, tax, tax…this agency is doing it very best to increase the illegal market place. A ship of fools.